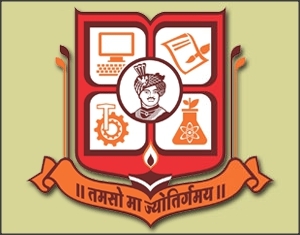 Bhavnagar University BHMS First,Second and fourth Year Result June 2013 has been published . The results are on the website. http://www.mkbhavuni.edu.in. The colleges include SWAMI VIVEKANAND HOMOEOPATHIC MEDICAL COLLEGE & HOSPITAL BHAVNAGAR; and SHRI MAHALAXMIJI MAHILA HOMOEOPATHIC MEDICAL COLLEGE VADODARA. NEW! ..Third Year result also published on 15.07.2013. Result is given below..
Swami Vivekanand Homoeopathic Medical College & Hospital offers BHMS degree.This great institute is recognized by State Homoeopathic Council, Department of Higher Education & Department of Health & Family Welfare, Govt. 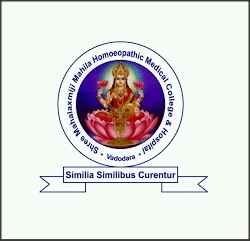 of Gujarat, Central Council of Homoeopathy, New Delhi and affiliated with Bhavnagar University, Bhavnagar. The present capacity of the college is 100 seats in one year. Swami Vivekanand Homoeopathic Medical College & Hospital has occupied and constructed in 1,50,000 sq ft in 3.5 Acre of the land. The college includes all laboratories with all the sophisticated facilities in anatomy, physiology & biochemistry, homoeopathic pharmacy, pathology and departments with required facilities in forensic & toxicology, organon of medicine & case taking, material medical, repertory, surgery practice of medicine, gynecology & obstetrics, community medicine etc. This college is well-known for the educational modalities as having teaching staff members around 42 qualified teaching staff members and most of teachers are having more than 10 years of clinical experience. The eminent physicians, surgeons, gynecologists, specialist of medical stream and eminent homoeopathic physicians are regularly conducting the teaching activities at the college. Shree Mahalaxmiji Mahila Homoeopathic Medical College & Hospital is affiliated to Bhavnagar University. This college is the first Mahila Homoeopathic Medical College in India. The college offers Bachelor of Homeopathic Medicine and Surgery. 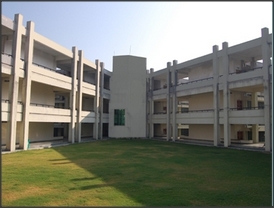 The college’s infrastructure is well furnished with all modern facilities. he college provide hostel facilities for girls. The college has a well equipped library.